I pointed at the house and said to my friend Brendan ‘And this is where it all began,’ as we stood outside 41 Brighton Square, Rathgar. It was 2nd Feb, James Joyce’s birthday (b. 1882), and this was the first stop on our little tour, or odyssey, of houses that the great man had lived in before leaving permanently for Europe. Brendan was in town for a few days and was looking forward to visiting the places where Joyce once walked and used in his stories. And believe me, there are plenty of places to go to! 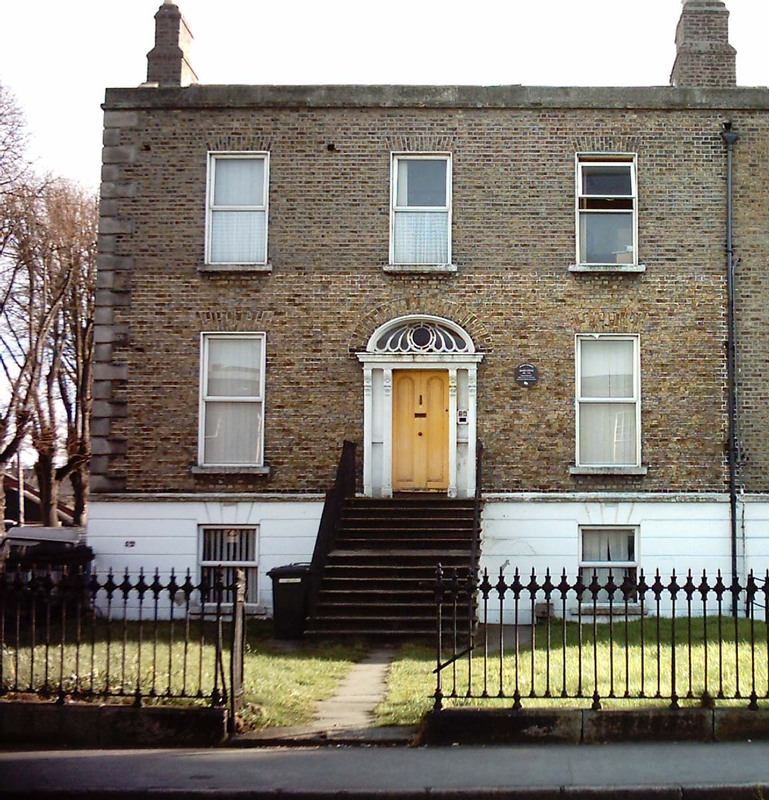 Joyce was only a year old when the family (of three) moved to a larger property at 23 Castlewood Avenue, in nearby Rathmines. Three more of Joyce’s siblings were born here, including Stanislaus, who was to become his big ‘brother’s keeper’ and loyal supporter. Also, he often had to help James out financially, as the eldest sibling was very impecunious, a talent that he, no doubt, had inherited from his father. Before he was six James and the growing family moved once more. 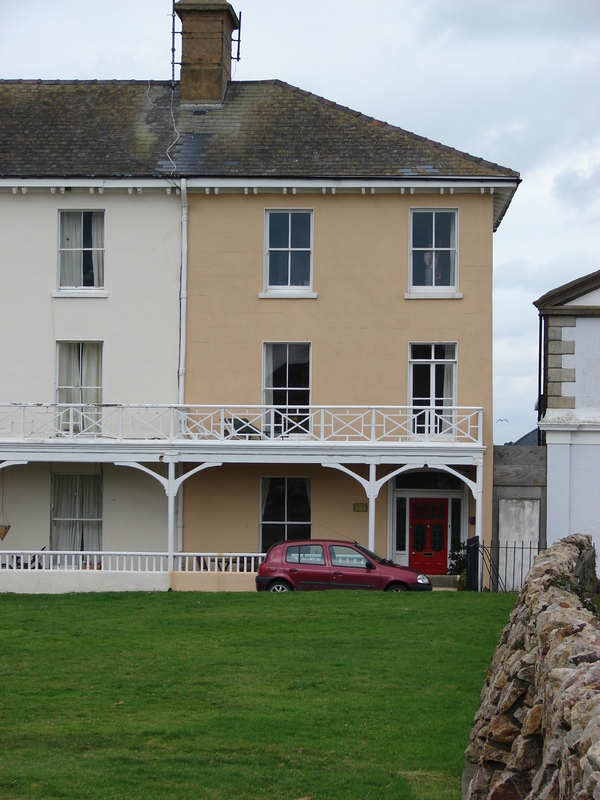 This time they went to 1 Martello Terrace in Bray, County Wicklow. The house is right next to the sea, and provides uninterrupted views of the bay, the colourful esplanade and Bray Head to the south. On the first floor, two adjoining rooms with their polished marble fireplaces and decorative ceiling is where the Christmas dinner scene in A Portait of the Artist as a Young Man takes place. 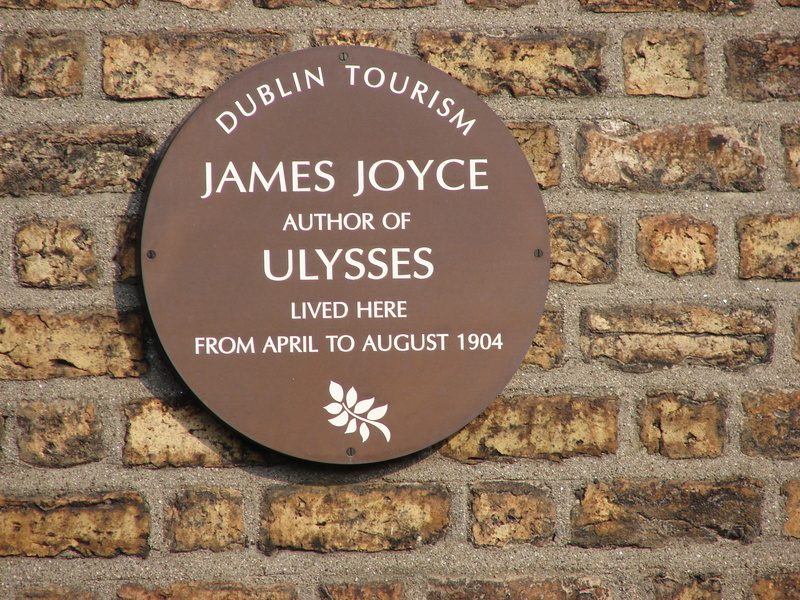 Visiting all Joyce’s houses is a labour of love and made easy and interesting if the ‘pilgrim’ carries a copy of Vivien Igoe’s book James Joyce’s Dublin Houses – which is also a great help in understanding the setting of many of his stories. 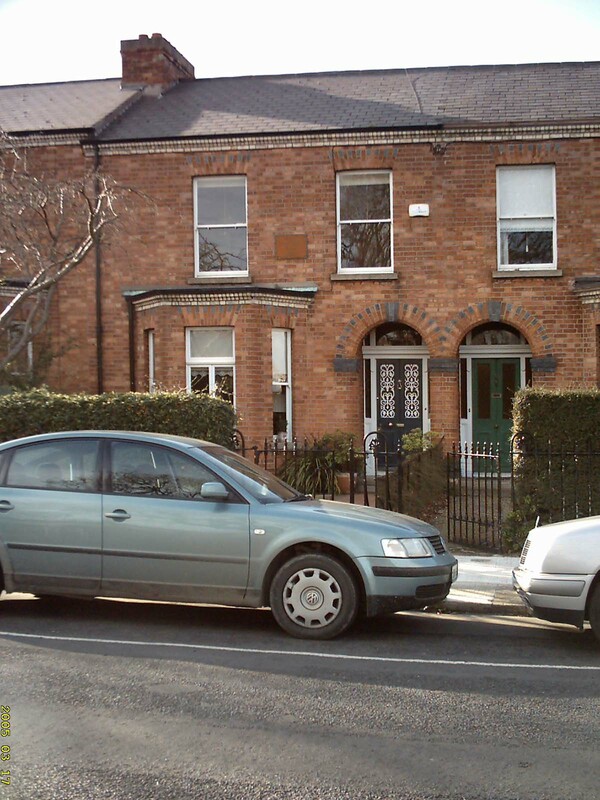 Our last house was 60 Shelbourne Road, Ballsbridge which is only a stone’s throw from Lansdowne Road (AVIVA Stadium). Joyce rented a large upstairs room in April 1904, just six months before he left Ireland. And it was from here, on 16th June 1904, that he got ready for his first date with Nora Barnacle, the love of his life and the muse in many of his stories; most famously as Molly Bloom in Ulysses. That day was so important to Joyce that he used it as the canvas on which he wrote his greatest work, a day that is now celebrated around the world as Bloomsday. 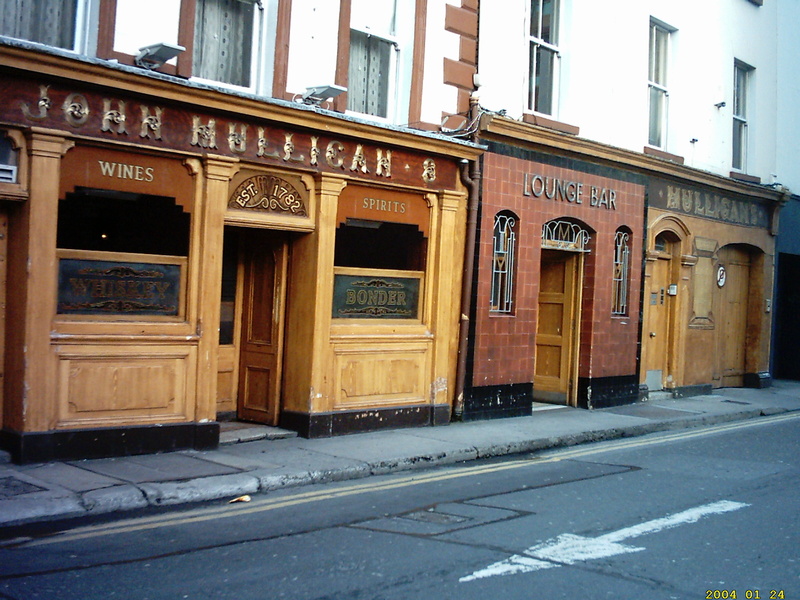 After all the touring about Brendan and I went to Mulligans pub on Poolbeg Street and downed a few cold drinks. By now it was no surprise to Brendan when I told him that the place, a Dublin treasure, featured in Counterparts, a story in Joyce’s most accessible book Dubliners. ‘He really did get around,’ said Brendan.